The Skilled Independent Visa (subclass 189) is an Australian permanent residency visa designed for skilled workers who have not been sponsored by an Australian employer, territory/provision or a relative already living in the country. This is a multiple-entry visa, which allows candidates to work, pursue their studies anywhere in Australia, to sponsor immediate relatives in the application and grants facilities under Medicare and health care schemes. Further, this PR visa makes candidates eligible to apply for the Australian Citizenship, if they successfully completed 4-year stay in the country. 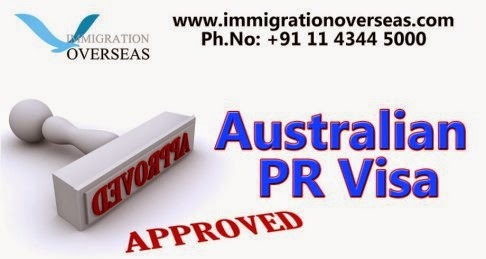 How can you apply for the Australian PR visa? First, you have to get your skills assessed from the relevant body, which further would be evaluated by the Department of Immigration and Citizenship (DIAC) and points are granted. If you meet the positive skill assessment requirements, then you are required to submit an Expression of Interest (EoI), through Skill Select. 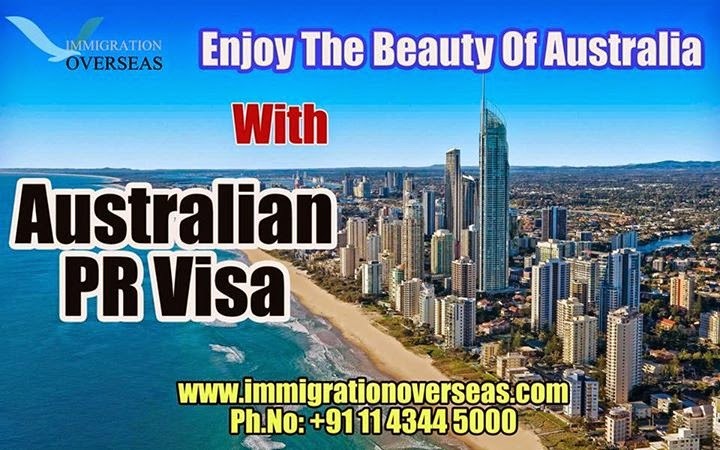 Then, you will be sent an Invitation to Apply for the Australia Permanent Residency Visa from the Australian Immigration department, which you have to positively reply within 60 days. If you have any query about the program or want to get your skills assessed, you can immediately contact Immigration Overseas, a boutique immigration law firm based in Delhi. Visa subclass 489 of Australia is a skilled sponsored visa for Australia that is granted to the applicant for a period of 4 years, in accordance with the skills and abilities that are in demand by the labor market of Australia. Further to this the applicant is liable to enjoy several privileges like: living and working in Australia for four years, travelling to and from the country without any restriction and apply for permanent residency after meeting the suitable eligibility requirements. Immigration Overseas is a global leader in providing comprehensive, timely and client- centric Australia immigration services to the applicants, that minimizes the challenged involved in the procedure and helps the candidates focus on the other joyful migration criteria. All the deeds and actions of the professionals at Immigration Overseas is based on the pillars of professionalism, honesty and transparency, constantly saving a lot of time of the clients and offering them effective services at each step. Immigration Overseas work towards constantly exceeding the expectations of the clients. When do you need to hire an Immigration law firm in India? Immigration is the movement of aspirants from one state to another for better prospects and wide scope of opportunities. Every country takes in their own rules and ordinances that underpin the flow of migrants towards the land. Based upon the political conditions, economic demands and other factors various countries accept newcomers from worldwide, offering great opportunities to live, study, work and enjoy lifestyle in that country. The procedure of migrating is thus tough, comprising of legal rules and regulations that at every step bind the process often tightly. An immigration law firm in this regard caters to the needs and demands of the individuals and families to migrate and settle overseas. They aim at offering best in class services to the prospect candidates, letting them accomplish their task of immigrating successfully. These licensed and registered firms work with a strict working code of conduct and in an often professional manner, offering smart services to their clients. These firms are led by experienced and skilled immigration lawyers and also by knowledgeable visa consultants who understand the needs and demands of the clients and thereby deliver the right services and representation to the clients. At Immigration Overseas we have assembled an Outstanding Team of Lawyers and Top Immigration Visa Consultants who hold a high level of expertise in offering professional immigration related services to the applicants. They are committed to handle the overall visa application procedure on their part and handling the case professionally from the start till the finish. We have case managers who represent the clients throughout the legal application proceedings, helping with filing documentation, submission of documents and representing the clients in front of the immigration authorities. Canada is known for welcoming a huge number of migrants every year. With a developed and robust economy, outward looking environment, best in class education, health care and social security benefits, wired range of professional opportunities and an overall safe and secure living environment, the country attracts people from almost every part of the world. With a range of Permanent Residency Visa Types, the federal skilled visa for Canada is the most popular visa type, availed by skilled professionals who seek to avail long-term benefits in the country. Further, the applicant has to submit valid documents that support their visa application. Immigration Overseas-an immigration law firm offers comprehensive Canada PR visa services to the applicants, securing their dream of migrating towards the country. Led by a licensed and registered team of immigration professionals, we extend round the clock assistance and support to the clients. Immigration Overseas has manifested a global presence with one of its branch offices in Canada as well. Through the approach of offering client-centric services and friendly service environment, we are delivering utmost client satisfaction and 100% successful results altogether. Australia has been a fascinating and a prosperous migration destination, especially for skilled professionals. The country attracts a great group of generic professionals in various areas of expertise, thereby increasing the demand of skilled visas by the aspirants. The government of Australia has opened “General Skilled Migration Program” for aspiring professionals. Skilled Independent Subclass 189- It is a permanent visa type for Australia that does require the skilled migrant to hold sponsorship from any employer or relative in Australia. Skilled Nominated Subclass 190- The visa subclass 190 requires the immigrant to hold sponsorship from a State or Union territory in Australia to migrate and settle permanently. Skilled Regional Provisional Subclass 489- Visa subclass 489 is a provisional visa that is granted for a period of 4 years to the applicant, allowing them to live and work in Australia in a destined area. After the completion of 4 years, the candidate can apply for permanent residency status. Further two more visa types are there under this program. Skilled Regional Subclass 887- It is a skilled regional PR visa that allows the skilled professional to live in Australia for a period of 2 years and work there for a period of 12 months. Graduate Temporary Subclass 485- Australia visa subclass 485 is a graduate temporary work visa that entitles the applicant to pursue qualification in Australia for about 2 years. Know more about the Australia Permanent Resident Visa. Get in touch with a professional immigration law firm for accurate information and reliable services. 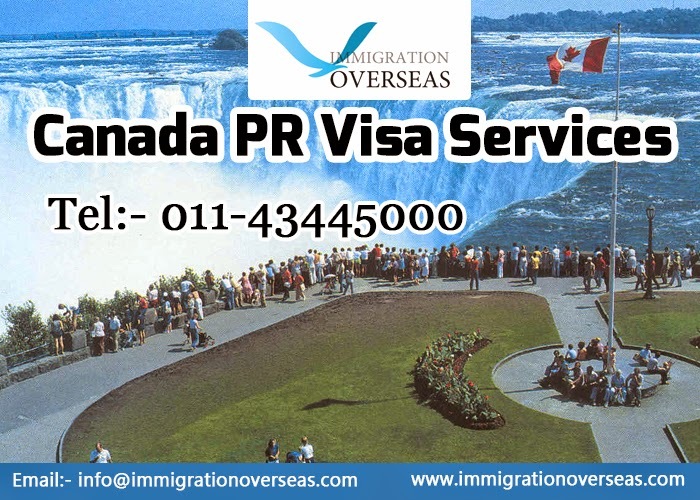 A PR visa is a smooth entry towards an overseas country. It entitles the migrant to enter and live in the country indefinitely and avail all the benefits. Immigration is a procedure that is linked with tough legal proceedings, but at the same time offers a chance to explore wide ranging advantages. Social security benefits: Offer high social security benefits that attract migrants to immigrate and live with their family for the lifetime. Health care: Developed countries like Australia and Canada offer public health care and Medicare benefits to the newcomers, facilitating easy settlement. Education: With some of the reputed and renowned universities and institutions in the world, these fascinating migration destinations attract students from different parts of the world to come and study in the world-class educational environment. Skilled employment: Migrating towards a developed country where the economy plays a crucial role, striving for skilled professionals to contribute towards the country. These countries offer high-paid and permanent employment opportunities to skilled professionals in various sectors like IT, Medical, manufacturing, Agriculture etc. Lifestyle: With a different climate, the host country promises to offer cultural benefits in a positive way of life and an incredible lifestyle feature that is adventurous to explore. You can Apply for your Permanent Residency Visa by choosing one of the many categories. Immigration Overseas reduces your migration pain by offering effective services to the clients. We specialize in the realm of Australia PR visa and Canada PR visa, ensuring hassle free immigration altogether. 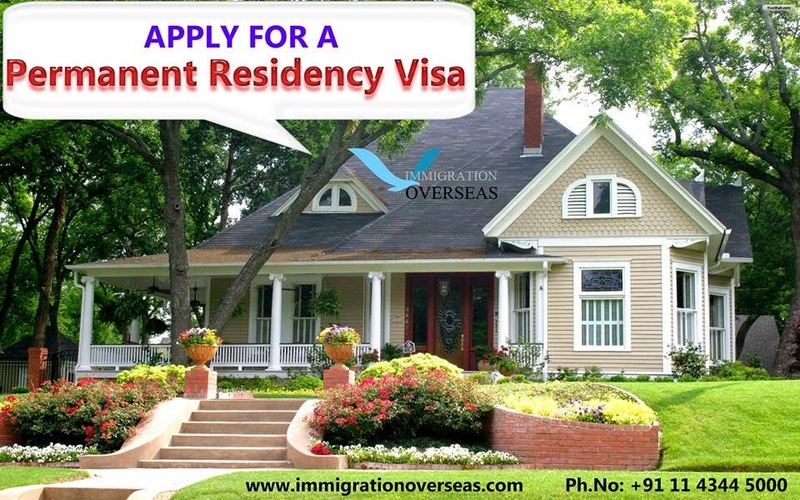 You can fill the online visa enquiry form to get in touch with us. After submitting the form our expert will get to you within 24 hours. 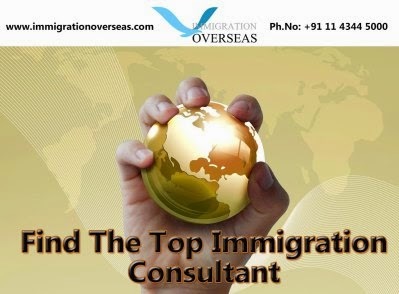 Immigration Consultants in India- making the most of your Migration Dream! Migration is a process that is linked with a strict enforcement regime capped by various migration programs that makes the overall procedure tough to accomplish. For accomplishing your Australian Immigration dream you should consider using a registered and licensed immigration consultant for your procedure. They are the professionals who make the fairly complicated visa application procedure an easy task for the candidates. These professional experts/consultants are thus considered to be the sole partner of any applicant who wishes to settle in Australia without any hassle. Immigration Overseas-an immigration law firm based in India, offers all the immigration related services to its clients. We have the Best immigration Consultants ever known who offer affluent representation to the applicants, getting through the visa application process with ease. Migrating to another country is a tough challenge, but we at Immigration Overseas try to guide you professionally, so that you migrate often easily and fulfill your dreams related to migration. Immigration Overseas is not only led by expert consultants, but has a skilled and licensed team of attorney who strongly act upon the visa application case of the clients, offering utmost satisfaction and best results. Moving to Australia is undoubtedly an exciting endeavor, as it starts a new chapter in your life. Australia is a dreamland for those who wish to take their career to new heights, aspire to live in the world’s most developed and cosmopolitan cities and make every moment of their life worth living. Australia is also willing to provide a red carpet welcome to such people who can help it overcome from skill shortage and further contribute to strengthen its economy. If you think that you are eligible to join the thriving workforce of Australia, then the time has never been better to Apply for the Skilled Independent Permanent Residency Visa Subclass 189. Skilled Independent Permanent Visa Subclass 189 is a permanent resident visa, allows you to live, work in the country. It also gives you the freedom to access health care, health care benefits and other social advantages. You can further apply for the Australian Citizenship, if you successfully fulfil the required residency criteria. So, what are you waiting for, take a glance of provided below minimum eligibility criteria and check if you fulfill it. · Age must be between 18 to 49. · Must be competent in English, or passed an IELTS test with a minimum of 6.0 in each of the four bands. Have an occupation on the SOL. If you satisfy the eligibility criteria, then proceed further, you must get your skilled assessed and score a minimum of 60 marks to submit an EoI through SkillSelect. The EoI is a description of yourself, your family, your skills and your experience that is compared with those of other applicants in a pool. If you score higher, then you will be received an invitation from the Department of Immigration to apply for the permanent resident. Then, within 60 days you have to lodge your visa application to proceed further. To know further, get in touch with the MARA/MIA certified immigration consultants of Immigration Overseas. Immigration Overseas, is an immigration law firm, Offers specialized services pertaining to Immigration of Australia. Quebec is one of the most popular provinces of Canada with an independent immigration system and selection criteria. Quebec every year attracts competent, educated and skilled professionals who could contribute their skills towards the economy of Canada, opening up wider doors of opportunities. In this regard, the Quebec skilled worker visa is the most popular visa stream that supports the intake of higher number of skilled professionals under various occupations. To qualify under this skilled visa program, the candidate has to score certain points based on various criteria. A single, non-married immigrant needs to score 50 points while the applicants who are married or have a common law partner have to score minimum of 57 points. In addition to this the immigration authority grants 8 points to the applicant who has knowledge about the country and the adaptability. Further, 59 points need to be scored by a single applicant and 68 points in case you are with your spouse, common-law-partner of conjugal partner. The applicant is awarded 29 points for education and training, up to 9 points for experience, 22 points for language proficiency and 18 points for age factor. In case the applicant has family in Quebec than he/she gets extra 8 points and if the applicant has children you are capable of lead stable life in Quebec, then the candidate gets up to 8 points. Here, at Immigration Overseas we simplify the visa procedure, by Offering Online Canada Permanent Residency Visa Services. Immigration Overseas is driven by the vision of offering affluent and timely immigration to Canada services to the clients, helping them happily settle in Canada for the lifetime. To know more, get in touch with our visa consultants now! What Makes FSWP The Best Visa For Canada Immigration? The Federal Skilled Worker Program (FSWP) is a boon for those professionals who aspire to join the thriving work force of Canada to get the career they always dreamed of. FSWP is a permanent resident program, which lets skilled professionals work and live in Canada for an indefinite time. Why you should apply for PR visa under FSWP? • The benefit of applying for PR visa under FSWP is not one there are many reasons that make it the best program to immigrate under. • The Federal Skilled Worker Program, allows you to work and live in Canada, and do not need to demonstrate any sponsorship by an employer, and relatives to apply for it. • You will be entitled to government subsidized education, health care facilities. • You can also sponsor your family members like spouse, children and immediate relatives. • You are free to work with any Canadian employer and eligible for employee benefits provided by the company. • After three years of continuous stay in Canada, you will be eligible to apply for the prized, ‘Canadian Citizenship’. • Once you get the Canadian Citizen, you are free to travel to many countries without having a visa. How can you apply for the FSWP? The Federal Skilled Worker Program is a point-based visa type. In other words, you need to score a minimum of 67 points on certain grounds such age, education, work experience, language proficiency, arranged job and adaptability to begin with the application process. Approach the best immigration consultants to know more. You must have at least one year of continuous full-time work experience in any of the required occupation. You must have passed a minimum threshold of language, either in English or French. If you find yourself eligible for FSWP, then what are waiting for there are endless opportunities awaits you in Canada. Get in touch with Immigration Overseas, the best Canadian immigration office, to get your skilled assessed or know more about the program. What Will A Permanent Resident Visa Immigration Expert Do For You? Cosmopolitan cities, high living standard, best-in-class education and social benefits, are the features that make Australia a country worth living in. If you are also willing to settle down in Australia, but don’t know which category you fall under and how to cascade with the application process, then you must consult a MARA/MIA permanent resident visa immigration consultant. A MARA/MIA immigration agent is the person, who can provide you the most suitable solutions to all your queries and guides you with procedure, rules and regulation pertaining to immigration to Australia. No matter what you choose to apply through, appropriate advice from a consultant helps you get through the maze of Australia Visa Immigration successfully. If you consult an immigration lawyer, you need not to worry about the paperwork and documentation, as he/she will do all the leg work. 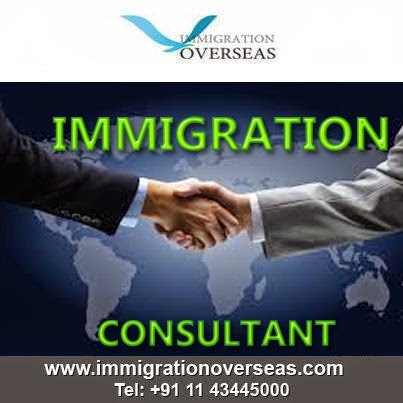 An immigration consultant has outstanding knowledge about what forms to be filled or documents to be arranged for PR through General Skilled Migrants or Family Category. 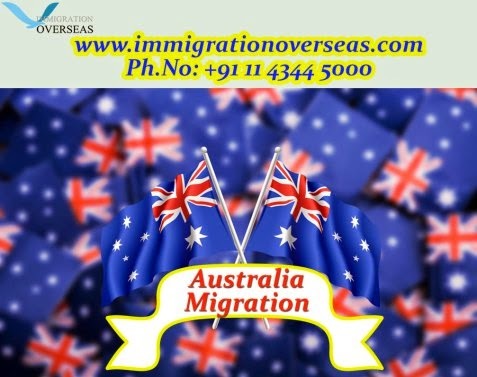 The consultant is familiar with the Australian Immigration System and provides the best solutions accordingly to show you the right path. The Australian Immigration System demands a great deal of documentation that proves your eligibility for a particular program. To deal with the paperwork, you can trust your consultant. He/she will assist you in completing all the forms and duly check all of them before sending to concerned authorities. A good immigration partner helps you at each and every step. Once you get the visa, a migration agent also provides your post landing assistance to find accommodation, and documents that make you settle down in Australia peacefully. Immigration Overseas, an immigration law firm, offers Australian immigration services to people who are seeking a PR visa to live in Australia permanently.